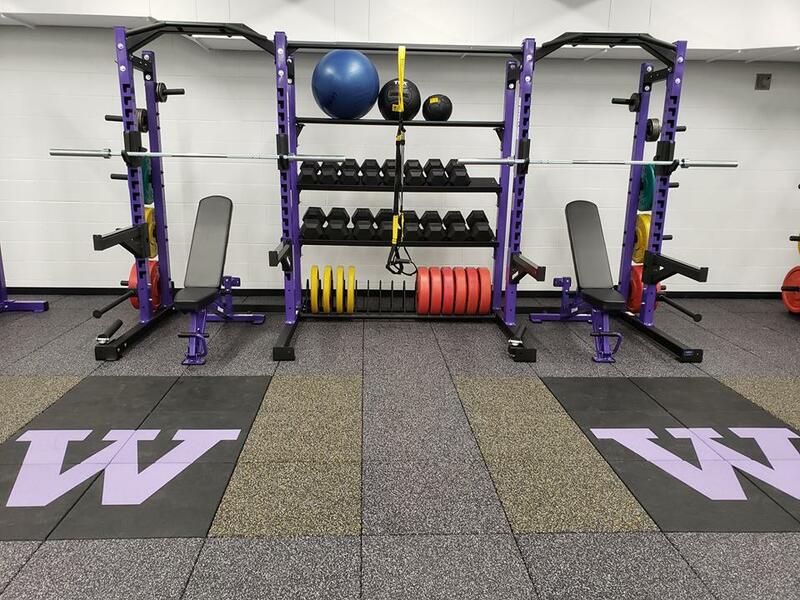 Check out this flooring installation done at Superior Public Schools by NOVA Fitness Equipment w/ the help of our installer Scott Marquardt!!! 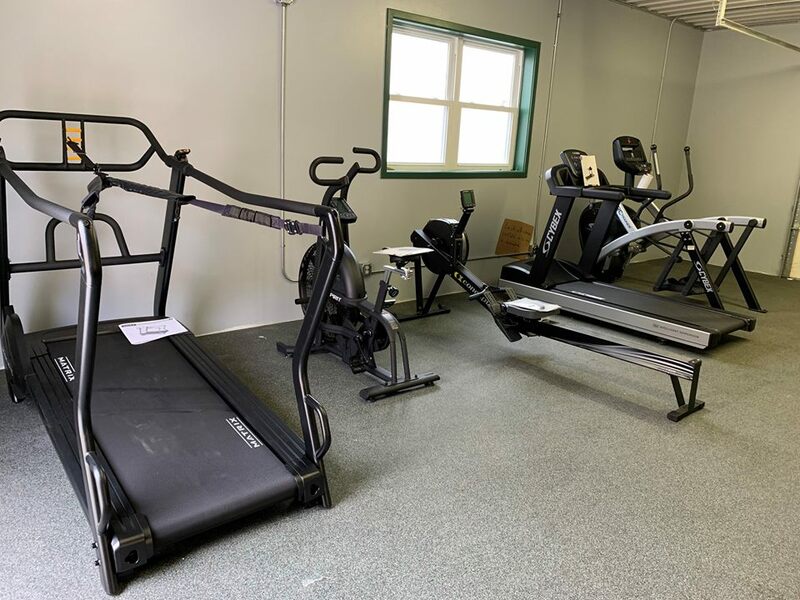 When you think fitness you aren’t thinking about the ground under your feet, but ECORE Athletic, A-Turf and NOVA Fitness Equipment are committed to your fitness equipment needs from the floor you walk on to the design of your room up to even the air you breath. Lookin’ Good Wild Cats!!!! Earlier this week we completed an installation at Chase County Schools in Imperial Nebraska!! They received 4 new half racks by Hammer Strength & Fitness complete with matching benches!!! 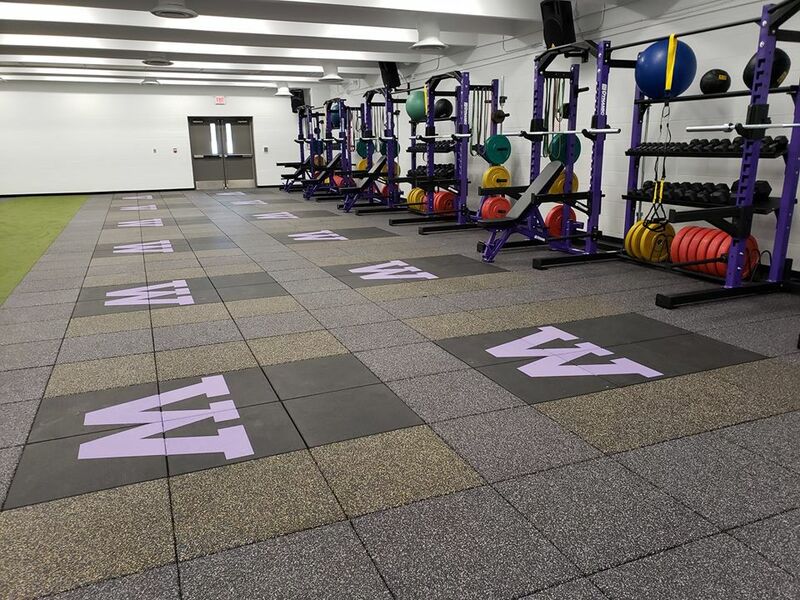 Thanks for teaming up with NOVA Fitness Equipment – we hope your students enjoy their new weight room additions!!! 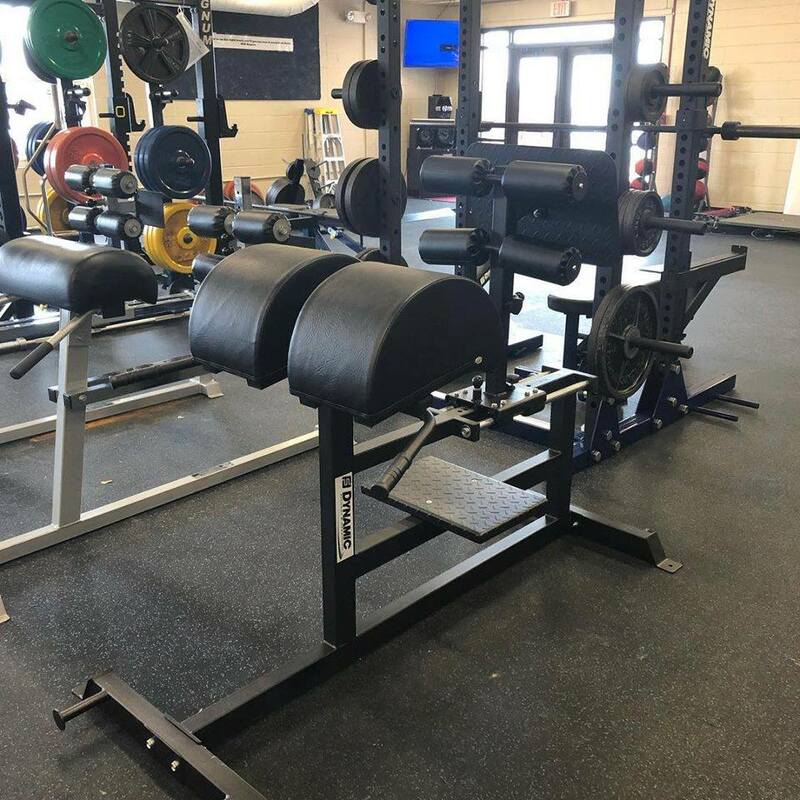 Raymond Central High School received their new Dynamic Fitness & Strength Titan 1/2 rack today along with a matching adjustable bench and glute/ham bench!! 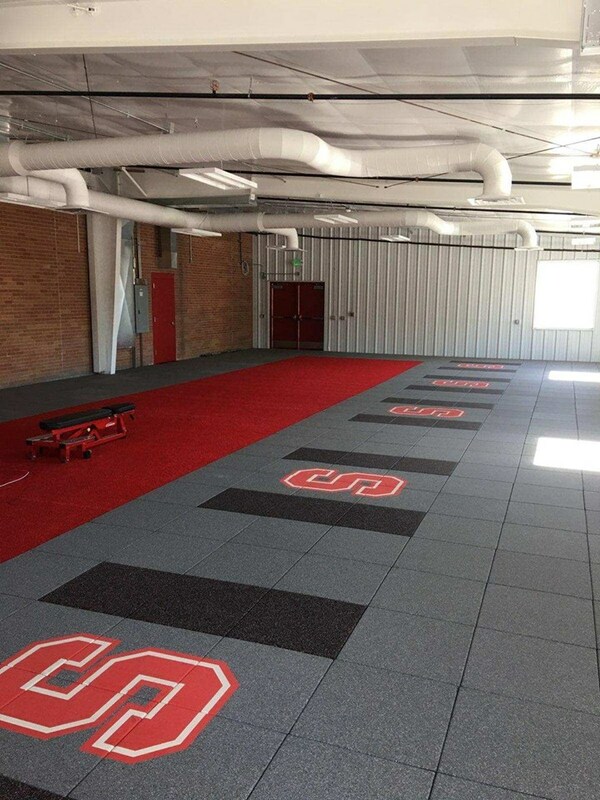 We hope everyone at the school is just as excited as we are for their strength program to receive their new equipment!! 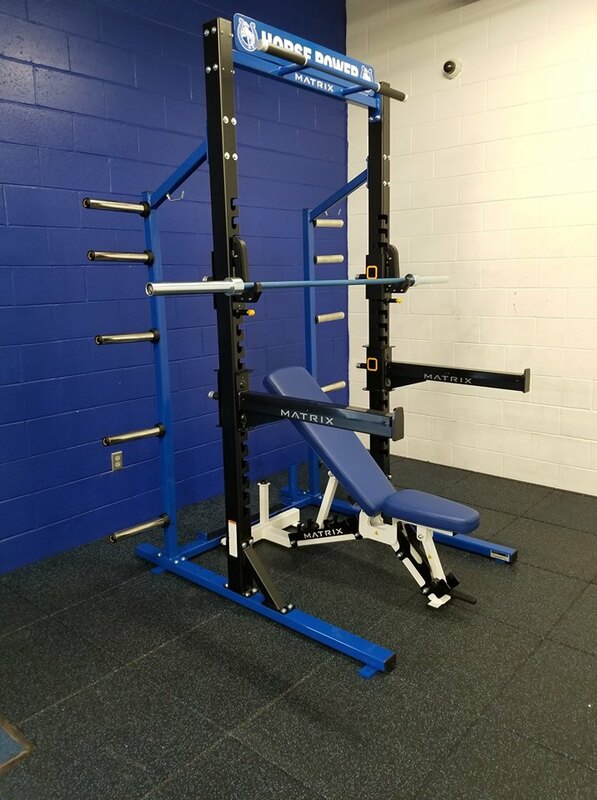 The Class C-2 CHAMPIONSHIP team received a new Matrix Fitness USA1/2 rack today with a custom name plate and matching blue and white bench!!! 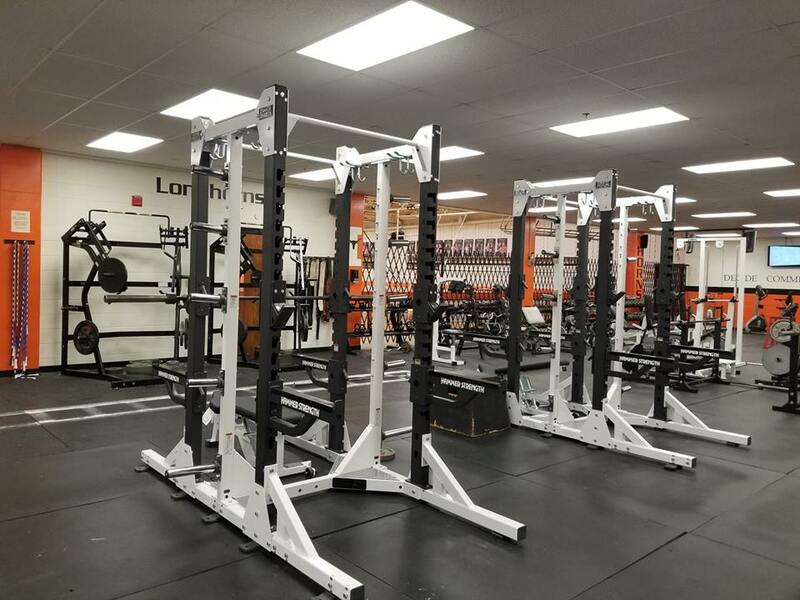 Congrats to everyone at Centennial Public School and thank you again for working with NOVA Fitness Equipment for your weight room needs!!! 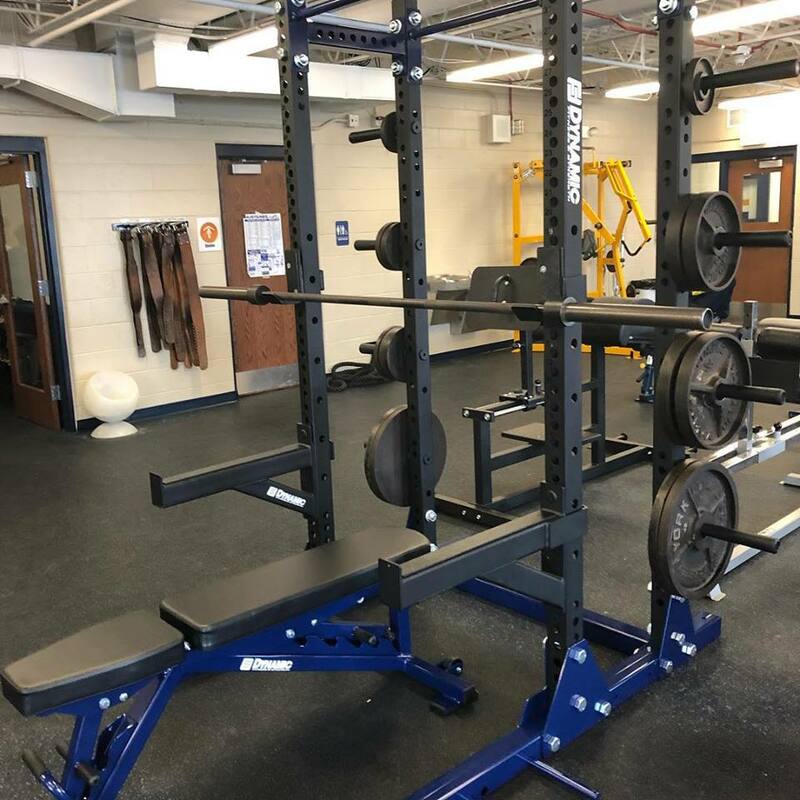 NOVA Fitness Equipment and York High School Dukes have been partners for awhile now, so it’s always a pleasure to help when they are looking for new equipment!!! Recently we added this Life Fitness upright bike to their cardio lineup!!! 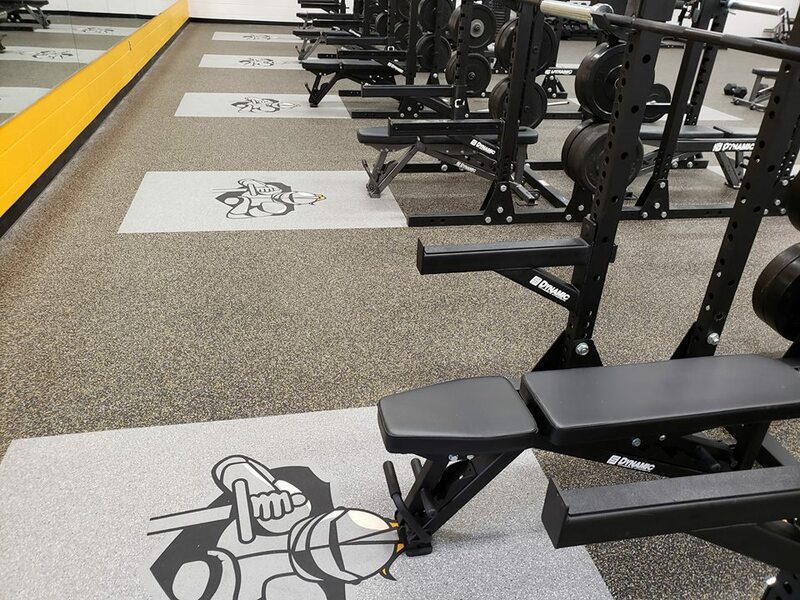 Also in the room you see custom lifting platforms by ECORE Athletic with their school logo and a Hammer Strength leg press along with all sorts of accessories they’ve added throughout the years!!! Thanks for the years of partnership, we love working you guys!!! It’s great when a community supports their school, but it’s amazing what they can accomplish when they work together!!! 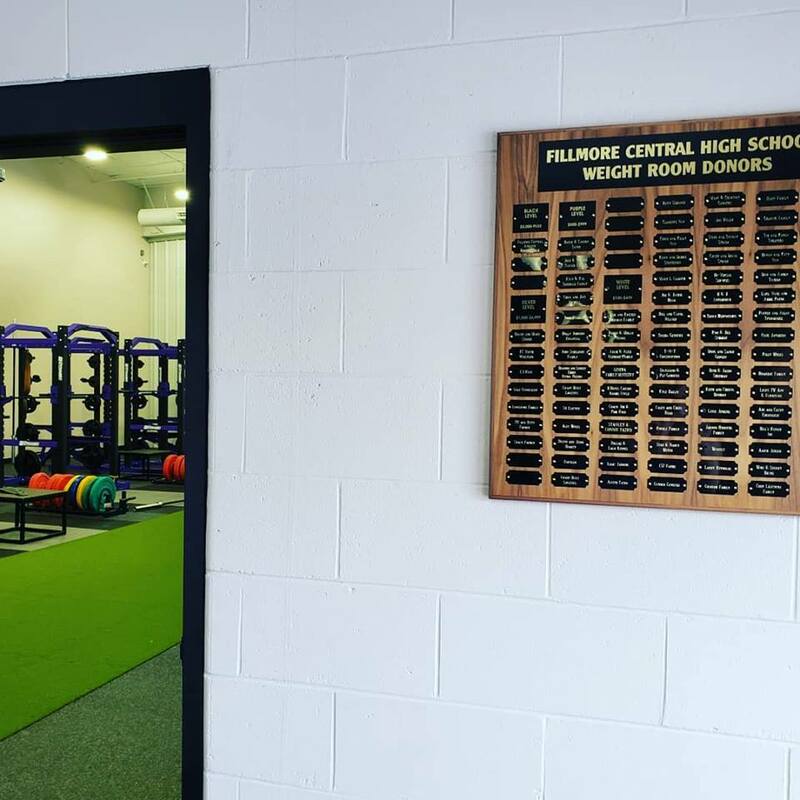 The new weight room at Fillmore Central is a prime example of that relationship and we’re proud that we could be a part of this project!!! 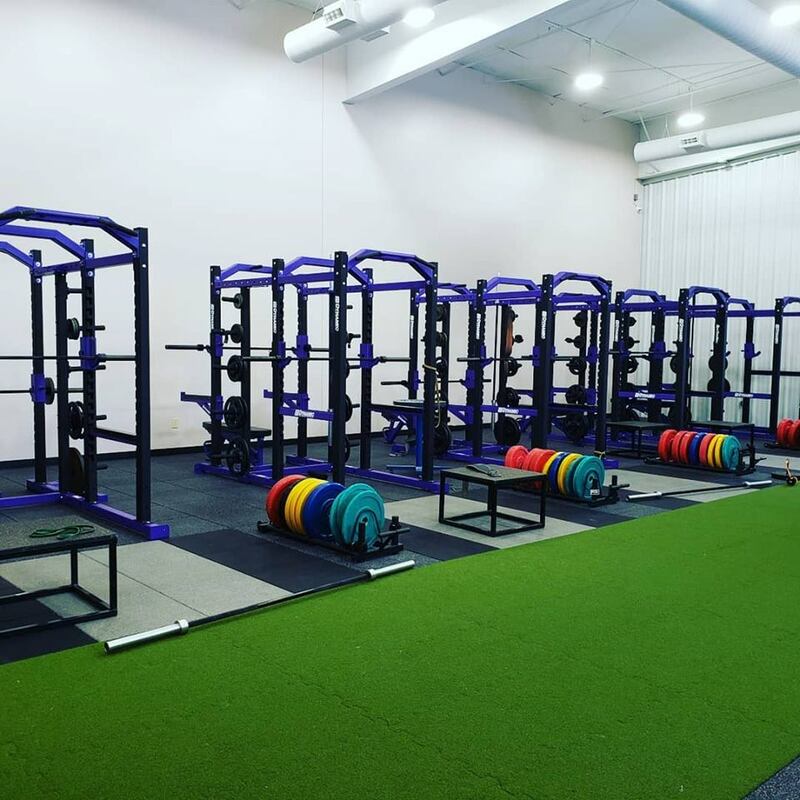 Looking good at @fc.strength – thanks for choosing NOVA Fitness Equipment, we look forward to continue working with you!! 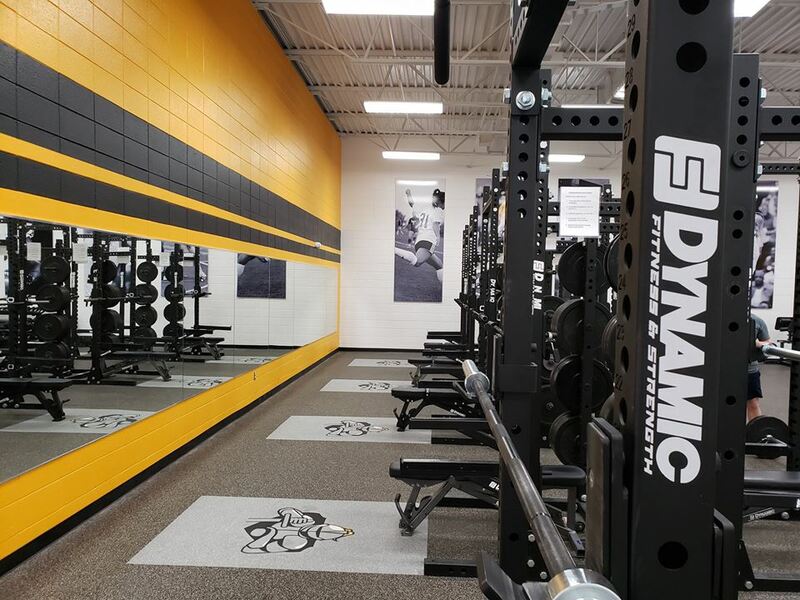 Congrats to Dordt College on their 2019 weight room improvements!! NOVA Fitness Equipment is very excited that we are a consistent part of your on going improvements to your facility!! Here are a few pictures of the latest installation that we completed 2 weeks ago at the college!! Phase 1 in 2019 was the installation of their new Performance Rally rubber flooring by Ecorew/ 10 custom #defender logo’s platforms inserted into the rolled rubber. 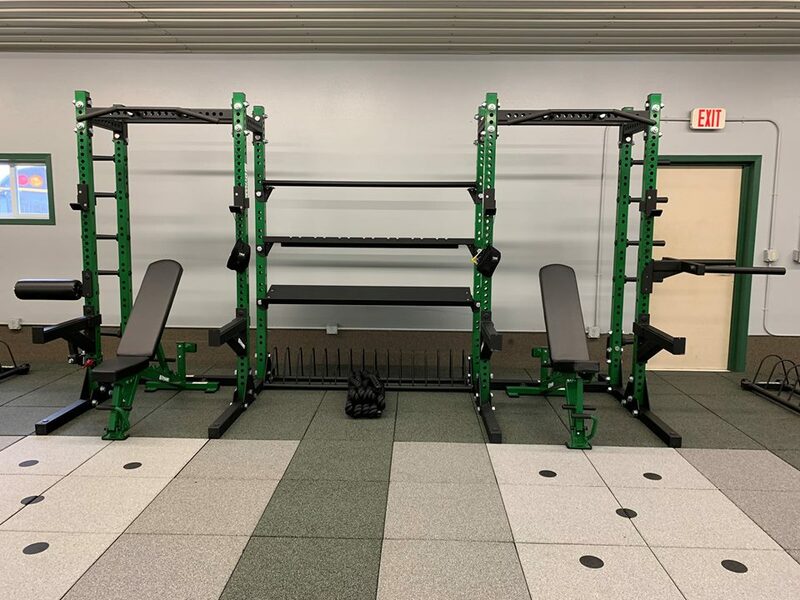 From there we installed (1) new 6 post hybrid rack (power rack on 1 side – 1/2 rack on the other side) w/ matching benches, landmine attachments, dip attachments and bumper plates by Dynamic Fitness & Strength and Olympic bars by Solid Bar Fitness, Inc.. 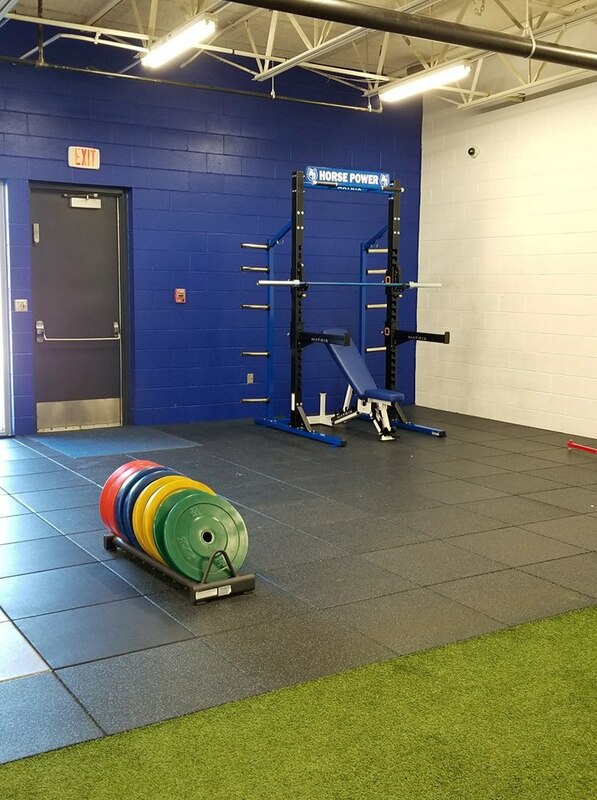 In another area of the facility we installed more Ecore Performance Rally rolled rubber and (1) new Titan 1/2 rack with matching bench and bumper plates by Dynamic Fitness & Strength, Olympic bar by Solid Bar Fitness, Inc. and Glute/Ham benches again by Dynamic Fitness & Strength. Also a part of the new equipment are (3) custom logo’d soft plyo boxes by UCS Inc. 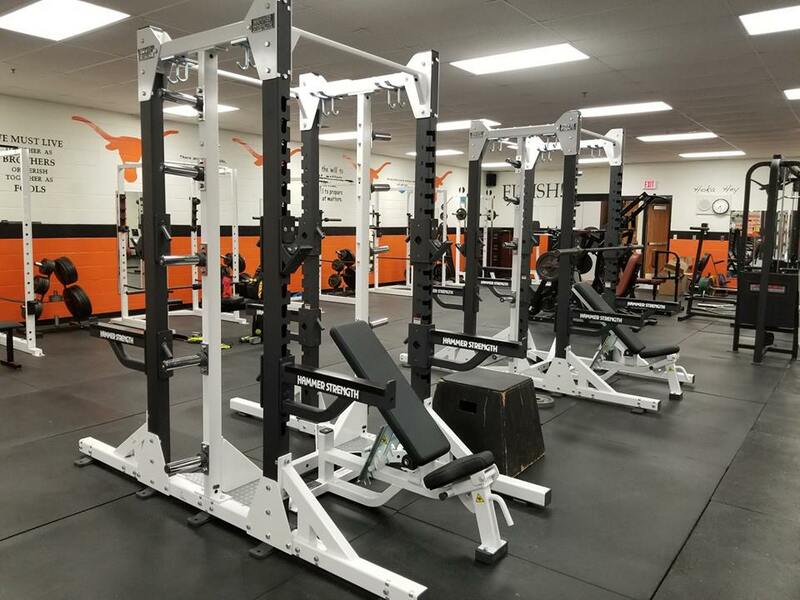 Thanks again for choosing NOVA Fitness Equipment for all of your weight room needs!! We look forward to the next install coming up in about a month!! 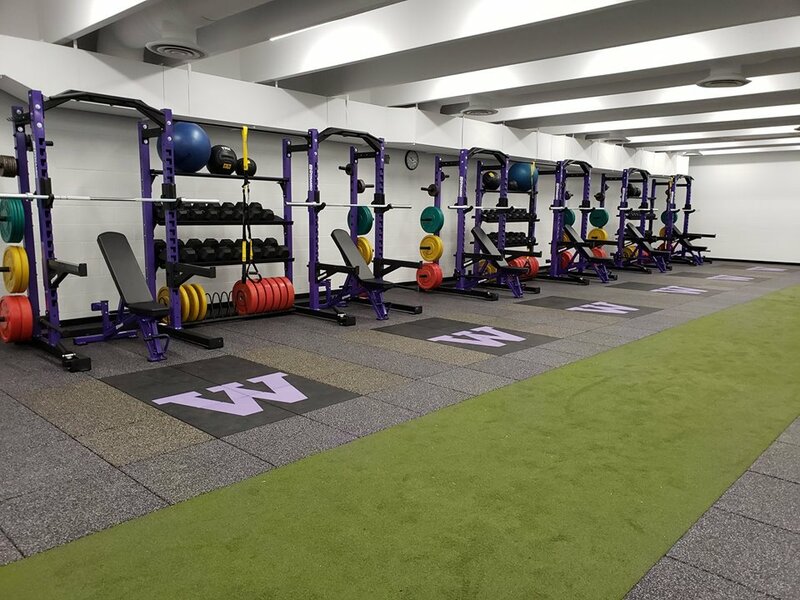 Watertown High School is looking sharp after a complete overhaul of their weight room the last couple of weeks!! 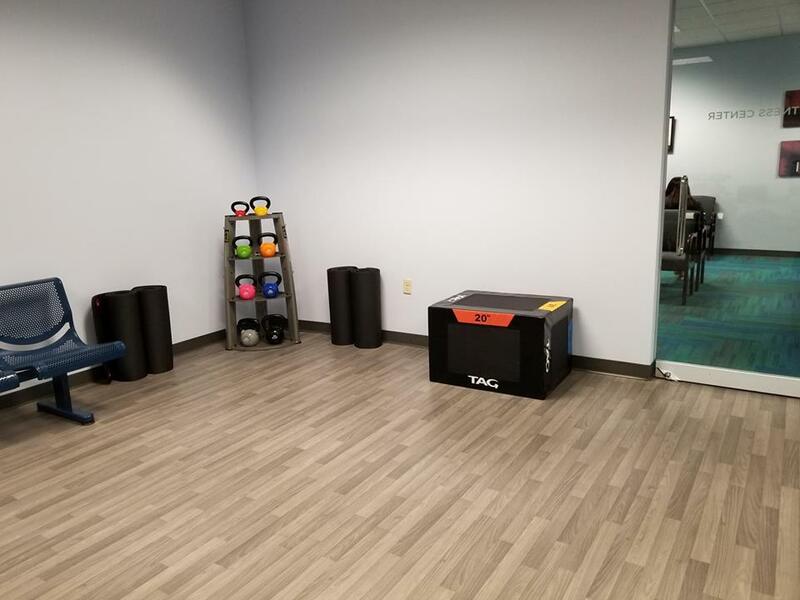 NOVA Fitness Equipment was along for the journey and provided the equipment and installation for their new Sports & Performance area!! 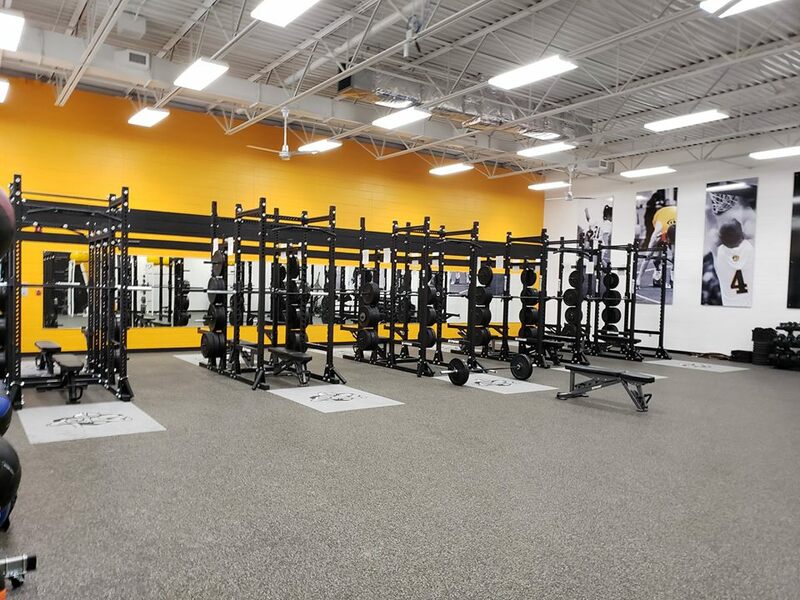 🙂 Last week our team spent 2 full days in the cold South Dakota weather installing (12) Edge 1/2 racks with annex storage, 3 Ultrapro lat pulldown/low row machines, 3 Glute/Ham benches by Dynamic Fitness & Strength, 156 new bumper plates and multiple sets of rubber hex dumbbells by York Barbell, strength bands, med balls and suspension trainers from TRX Training, and to finish it all off…Olympic bars from Solid Bar Fitness, Inc.!!! 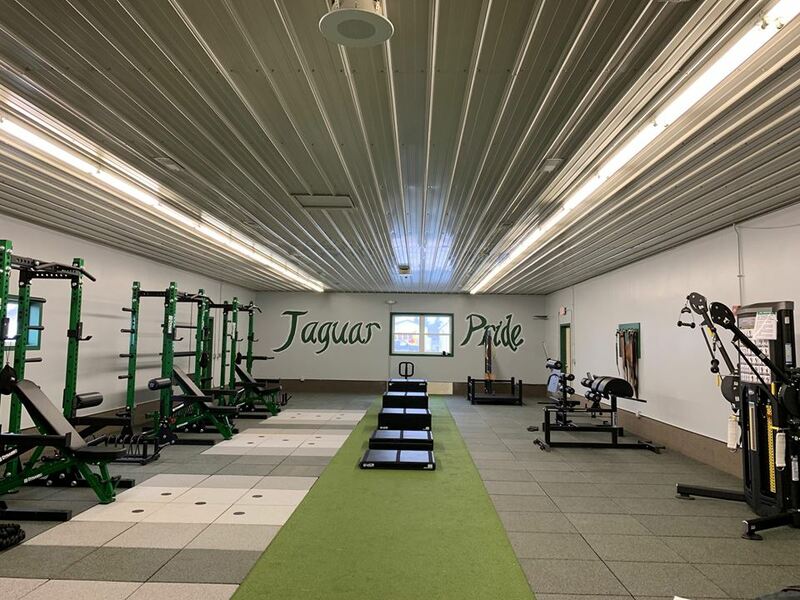 Prior to our installation of the weight equipment, our partners at Fitness Installation came up and laid down all of the new rubber flooring by Ecore which included an 80′ turf run of Speed & Agility turf and about 3,000 sq. ft of UltraTile with custom logo lifting platforms!! This project has been in the works for quite some time now and we are really excited to finally see it come to life!! 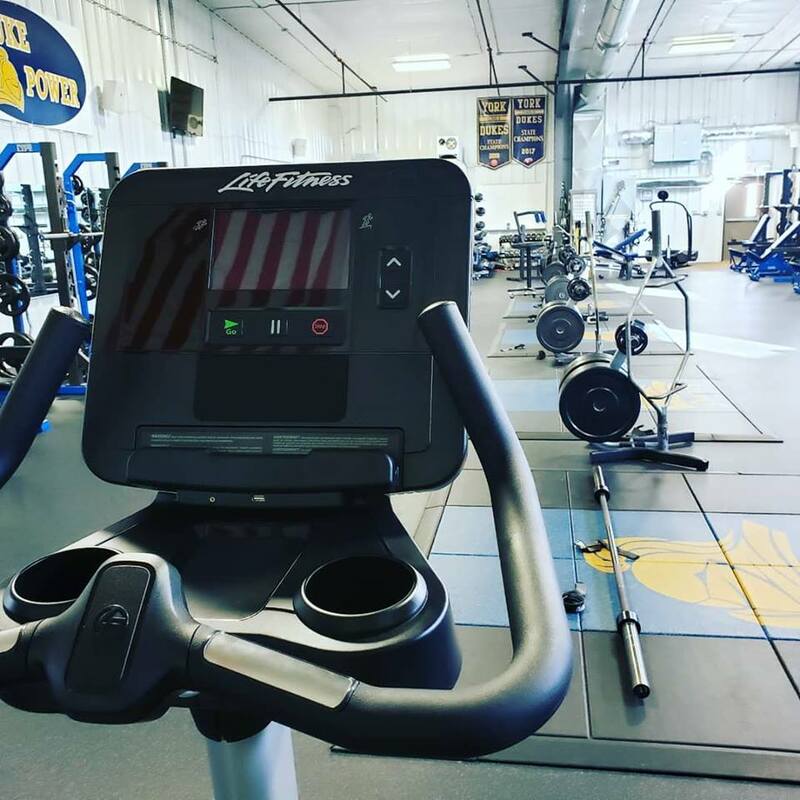 Thank you for choosing NOVA Fitness Equipment, we look forward to working with you on more updates and service work further down the line!! 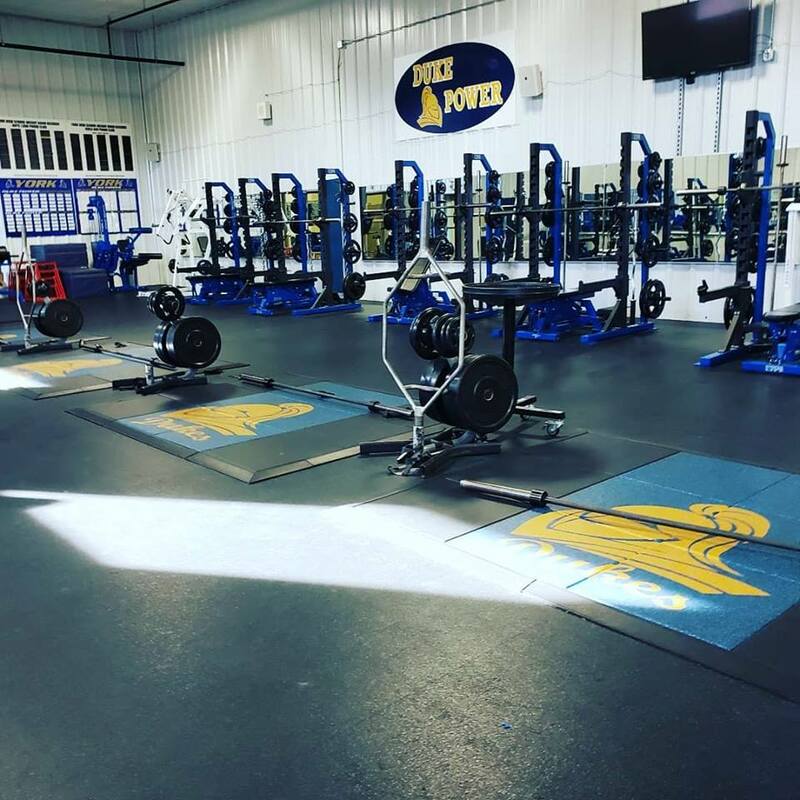 Thank you Howells-Dodge Consolidated High School for partnering with NOVA Fitness Equipment on your recent weight room transformation!!!! The before and after pics of this project are unbelievable!! 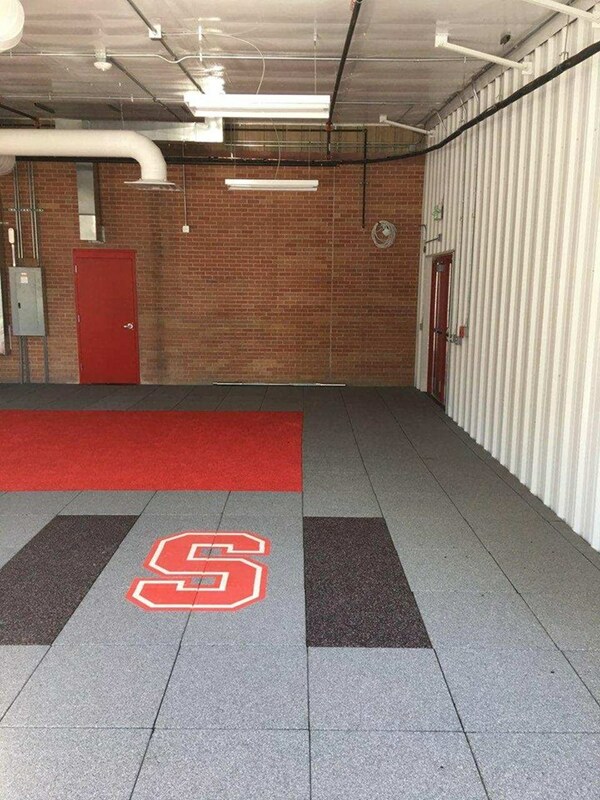 The first part of the installation involved laying down speed and agility turf by Ecore and then laying down the AktivPro tiles by Club Resource Group CRG. Something unique with the stand alone platforms is that they have “dot drill” dots printed on the tiles – such a GREAT feature to add to the room!! The next step was bringing in the equipment!! We’ve got a mix of all the best brands in this room!! 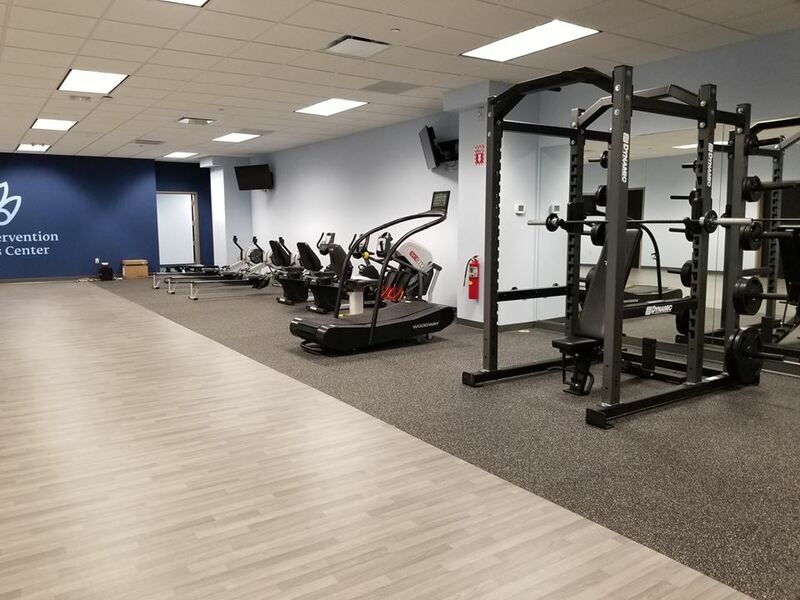 Titan annex 1/2 racks and strength stations by Dynamic Fitness & Strength, functional trainer by Tuffstuff Fitness International, plyo boxes by UCS Inc., & TRX Training units are all in the room!! 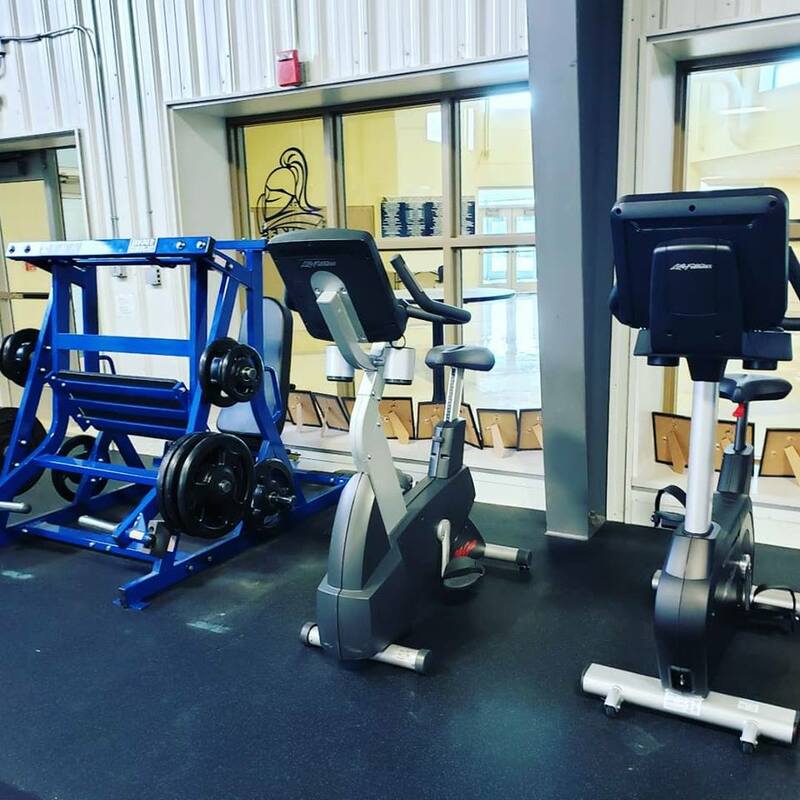 Cardio products by Concept2, Inc., SpiritFitness, Cybex International, Inc. and Matrix Fitness…. and the room wouldn’t be complete without a VertiMax V8LG unit!! We had the privilege to work with a great organization recently and we did their installation last week!! 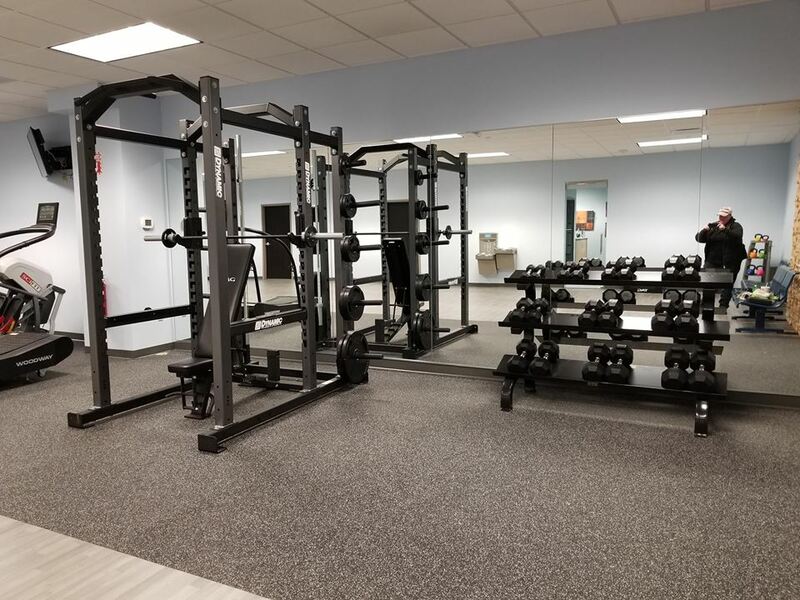 Check out the new facility at Family Health & Wellness Center, P.C. in Lincoln Nebraska!!!! 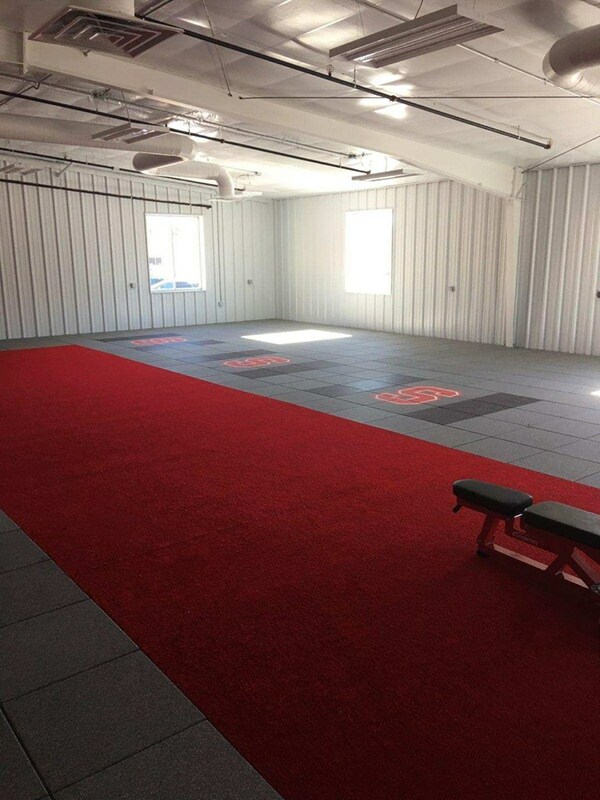 This workout/training space is filled with great equipment!! 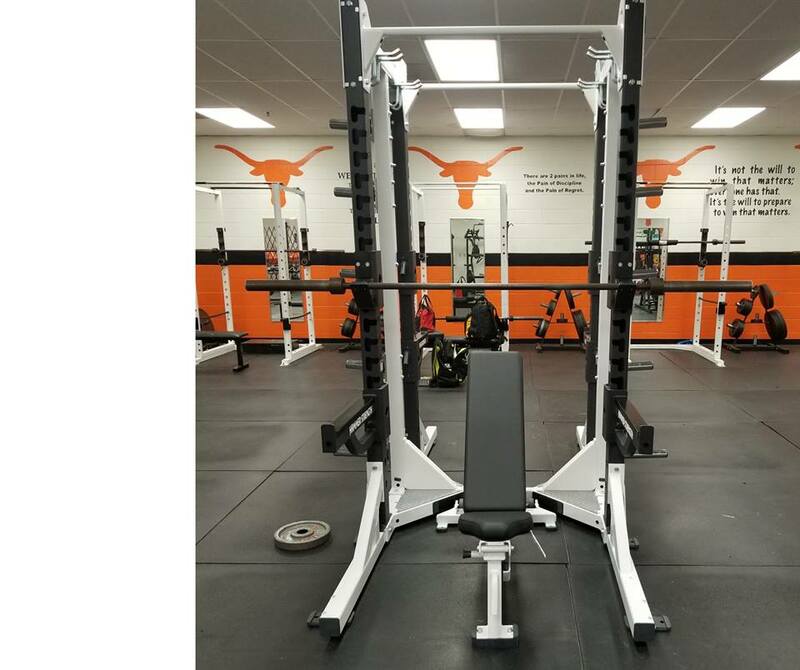 We installed a Power Rack by Dynamic Fitness & Strength, olympic bars from Solid Bar Fitness, Inc., benches and Plyo boxes from TAGfitness, and free weights from York Barbell!! 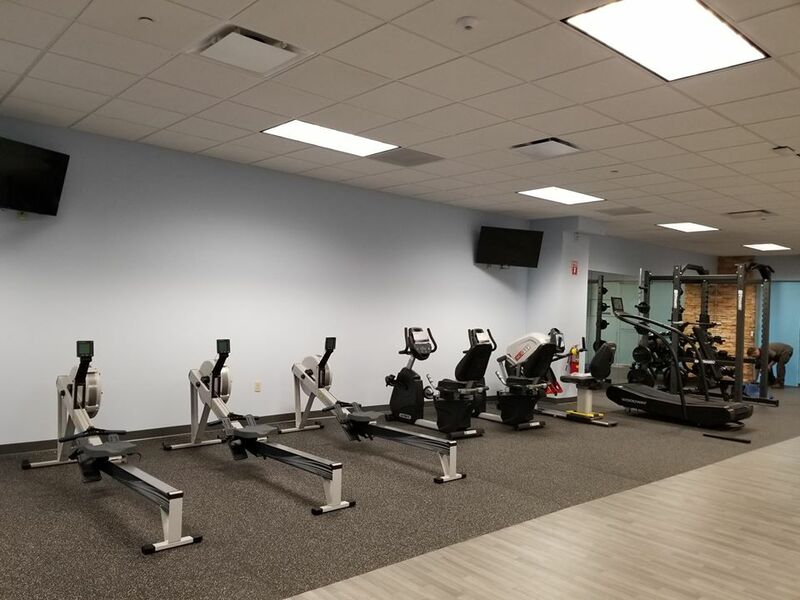 The cardio lineup in the room has a Curve Trainer by Woodway Treadmills, rowers by Concept2, Inc., bikes by SpiritFitness, a recumbent stepper by SCIFIT and a GTL by JacobsLadder. 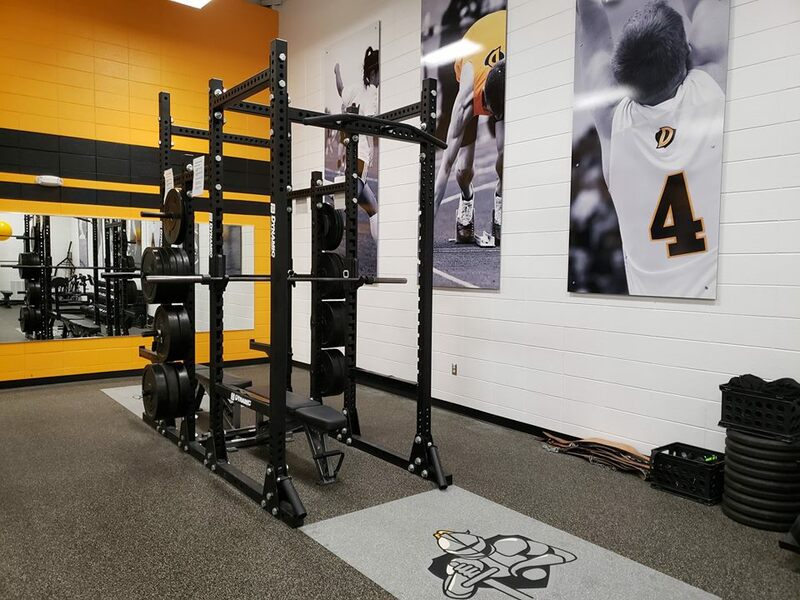 We hope the personal trainers at this facility are just as happy as we are with the new equipment and design!! We offer free consultation and design through the software EDesign, so contact us for your next project!! !